Did you really think I would let the Halloween season go without creating a few Stampscapes cards? This one was a "piece of cake" to create. 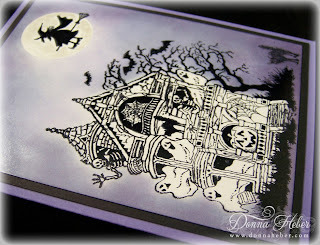 I stamped the PSX Haunted Victorian House and Petite Black Cat in StazOn Black on glossy white paper. I then punch a 1 1/4" circle from a post-it note for a moon. Next, I sponged the background in Adirondack Cool Peri, Lovely Lilac, Vintage Violet and Elegant Eggplant. I removed the mask from the moon and stamped the witch from SU's Home Is Where the Haunt Is. I decided to add a little frost white shimmer paint around the witch. I adhered the focal image to a piece of Basic Black and then mounted everything to a Lovely Lilac card. Now is that easy or what? Donna Very spooky ! Terrific as per usual and love all the directions. You outdid yourself on this one. I love it. Love your Halloween card! The witch is my favorite! Hi Donna, this is gorgeous. I wish Halloween was more of a card sending occasion over here, I would love to have a go at this one. great halloween house and sponging. love that witch in the moon. 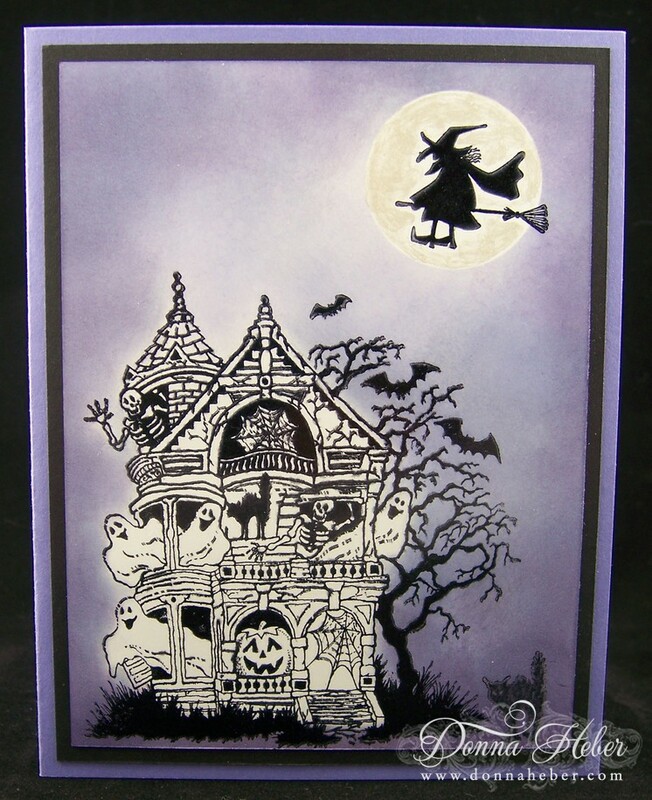 My goodness are you ever rockin on the Halloween cards....this is just fantastic. Love that Victorian house busting at the seams with ghosts. Colors look pretty nice too!!! Thanks for bringing a smile to my face when I saw this. Donna - this is gorgeous. I just love the colors. Great job !!! 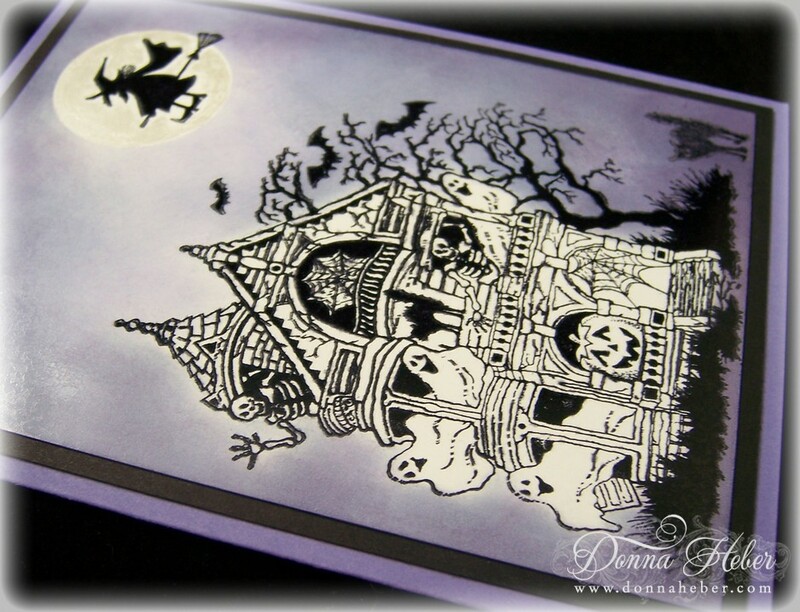 This is a great haunted house image! Love how you brought everything together and made a fablous card! Love the witchy witch in the corner! I love that witch across the moon.